MENA MOBILES TECHNOLOGY CO., LIMITED is a Google partner and has certified Google Ads (AdWords) professionals. Find contact information, pricing, addresses, locations, reviews and ratings of MENA MOBILES TECHNOLOGY CO., LIMITED. MENAMOBILE FOUCUS ON MOBILE APP&GAME MARKETING TARGETING MIDDLE EAST AND NORTH AFRICA. There are two levels of Partner badges that a digital marketing agency like MENA MOBILES TECHNOLOGY CO., LIMITED can earn — the Google Partner badge and the Premier Google Partner badge. Google Partner is the basic and Premier Google Partner is the more advanced certification by Google. MENA MOBILES TECHNOLOGY CO., LIMITED is a Premier Google Partner which means that at-least 2 individuals from the marketing agency has Google Ads (AdWords) certifications and the agency has managed much more than $10,000 over a 90 day period. Premier Google Partners also needs to meet much higher performance requirement set by Google compared to other Partners. MENA MOBILES TECHNOLOGY CO., LIMITED can work with any advertisers who spends more than $100 as a minimum monthly budget. The charges and pricing of the agency can be found out by directly contacting them. More customers, a stronger and more trustworthy brand, more effective marketing. That’s why clients hire us. We have gained experience and have created “know-how” on how to move you forward in the online business through years of hard work on more than 700 campaigns. We work for startups and companies that want to improve, innovate and create something new. We help them to transform their ambitions into reality through marketing, design and content. We are fast, open and we think broadly. You can find us in Prague and Hong Kong. 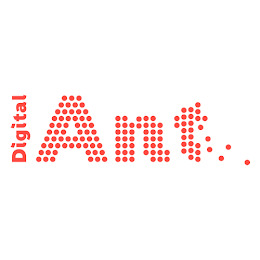 We are Digital Ant. We’re ‘The ROI Agency’ We were the first agency to apply a rigorous and objective approach to improving the effectiveness of marketing spend. We did this because we knew it was our clients’ number one priority, and we called it ‘Return on Investment’ or ‘ROI’. Our pioneering expertise in this area has driven our success, and underpinned our growth. As the world continues to change, the approach to marketing has to change too. Digital and online media have dramatically increased the ways consumers can see, touch and buy brands, and opened up thousands of new opportunities – and risks – for the owners of those brands. In the new world of marketing, measuring performance and returns on investment are more important than ever before. But traditional ROI techniques no longer deliver everything that clients need. That’s why we’ve taken ROI to the next level. ‘Live ROI’ is a dynamic, real-time approach to assessing how well your marketing is working, and how and where your money can be best spent. Ulticx provides a various digital solution for video production, Design, and Digital Strategy. Ulticx is proficient in developing comprehensive digital marketing channel especially website analytics.